BELGRADE (Serbia), April 15 (SeeNews) - The European Investment Bank (EIB) has signed an agreement to provide a 22 million euro ($24.9 million) loan to Serbia to revitalise public infrastructure in poor municipalities in the country that have been affected by migration and natural disasters, the lender said on Monday. The project will have a total value of 30 million euro and will be co-financed by the United Nations Development Programme (UNDP) and through contributions from municipalities themselves, the EIB said in a statement. "The loan arrangement signed by the Republic of Serbia with the European Investment Bank was approved under very favourable conditions, for 25 years with a five years grace period, with the possibility of choosing the fixed or variable interest rate, which is determined when withdrawing each tranche, without paying any kind of additional fees to the bank and commission on undrawn funds," Serbian finance minister Sinisa Mali said, as quoted in the statement. The investment is funded under the EIB’s Economic Resilience Initiative (ERI) and will support the convergence towards EU standards in the quality of the core economic infrastructure, the bank said. "The project is a joint effort between the EIB, the Serbian authorities and the UNDP and will support economically disadvantaged areas of Serbia affected by migration and flooding and make them more resilient. It is an example of the highly successful collaboration between the EIB and the UNDP in Western Balkans," EIB Vice President Dario Scannapieco noted. Investment is planned to go into a variety of public infrastructure, for example into local farmers markets, renovating and upgrading public buildings, including energy efficiency measures, and building and improving footpaths, public squares and sports facilities, the EIB said. The ERI was created in 2016 in response to a call from the European Council. The objective of the initiative is to help shift patterns of migration in the medium to long-term and provide support to forcibly displaced populations by increasing resilience of economies to future shocks. 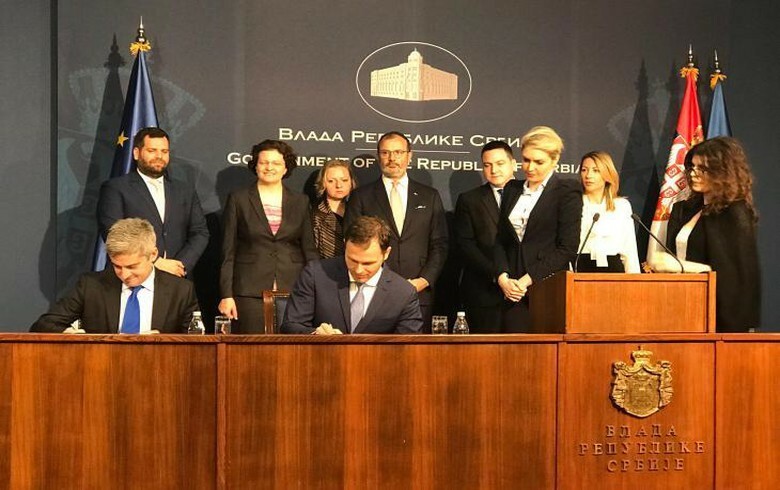 It will provide an additional 6 billion euro of financing in the Southern Neighbourhood and Western Balkans regions over the 2016-2020 period.